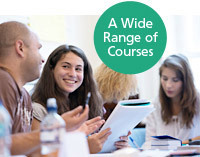 Excellent quality English courses at great value for money in central London! 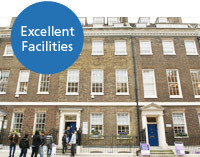 Bloomsbury International is an innovative British Council accredited English school in the heart of London, just minutes' walk from the British Museum and London's vibrant West End. Our beautiful, historic premises, spacious classrooms and modern facilities provide students with the perfect learning environment. We offer a wide range of quality English language courses including General and Business English, Conversation and Pronunciation, Examination Preparation for the IELTS, TOEFL and Cambridge exams and Holiday Programmes for adults and young learners, all taught by our qualified, carefully selected and dedicated teachers. 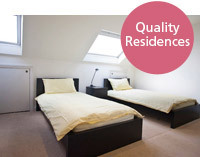 We can arrange comfortable, convenient accommodation to suit all budgets, including Bloomsbury International's very own student residences. We also offer a varied and exciting social programme to ensure that you make the most of your stay in the UK and meet people from all around the world.